One of the several smaller neighborhoods within North Chattanooga that has been quietly developing throughout the aughts is Riverview. Situated in between Hill City and the parts of North Chattanooga that are practically Hixson (namely Stuart Heights and Lupton City) Riverview is one of Chattanooga's older and mellower neighborhoods. Nestled in the quiet foothills between the Tennessee River and Signal Mountain, Riverview has always been set back from both the floods that once devastated downtown Chattanooga and the full brunt of the pollution from parts of North Chattanooga closer to the heavy industry that once lined the city center's riverbanks. The historic bungalows here are an important part of Chattanooga history. The bungalow is, in many ways, Chattanooga's original architectural style, belying the economic success and growth the city saw in the early 1900s through the '20s. Unlike nearby Hill City or Highland Park and Glenwood across the river, Riverview's older homes didn't suffer quite the same degree of neglect and disrepair throughout the tough 1970s and 80s. During Chattanooga's revival in the late 80s and early 90s, Riverview was one of the quickest areas to clean up and settle into its identity as a destination for younger, affluent homebuyers. In addition to its beloved bungalows, Chattanooga's recent boom years have brought many custom-built homes bursting with popular amenities to the area. There are also several planned communities, including The Enclave, which is right on the edge of Riverview near Stuart Heights, and Heritage Landing, which is right on the river. Whether you want historic charm, the convenience of a condo, or a recently constructed luxury home, Riverview has it all with the feel of an established area. In addition to the great homes on quiet streets, Riverview is a great location near plenty to see and do, only minutes away even if you are walking or biking. The Whole Foods-owned Greenlife Grocery, and the rest of the boutiques, galleries, shopping, and lifestyle services on Frazier Avenue and Two Northshore have long been part of Riverview's all-inclusive feel. The neighborhood is also very convenient to some of the best schools in the city, including Girls Preparatory School, The Bright School, and Normal Park. Riverview also has its own little commercial area centered around Las Margaritas (one of the best Mexican restaurants in town, and one of the best rooftop decks) and Tremont Tavern. Nearby is the Rhapsody Cafe, a CVS pharmacy, a dry cleaner, a liquor store, a boutique consignment shop and the Natural Body day spa. 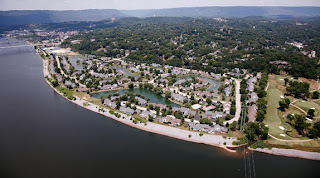 Unlike other Chattanooga neighborhoods, Riverview is well-rounded in its offerings of both daily necessities and fun indulgences, as well as a variety of architectural styles and home sizes. It's also rare in that it's ideal for people of all generations. Young professionals, families, and retirees all flock to Riverview for its well appointed homes, and wealth of nearby activities and services. A neighborhood with something for everyone is rare indeed.